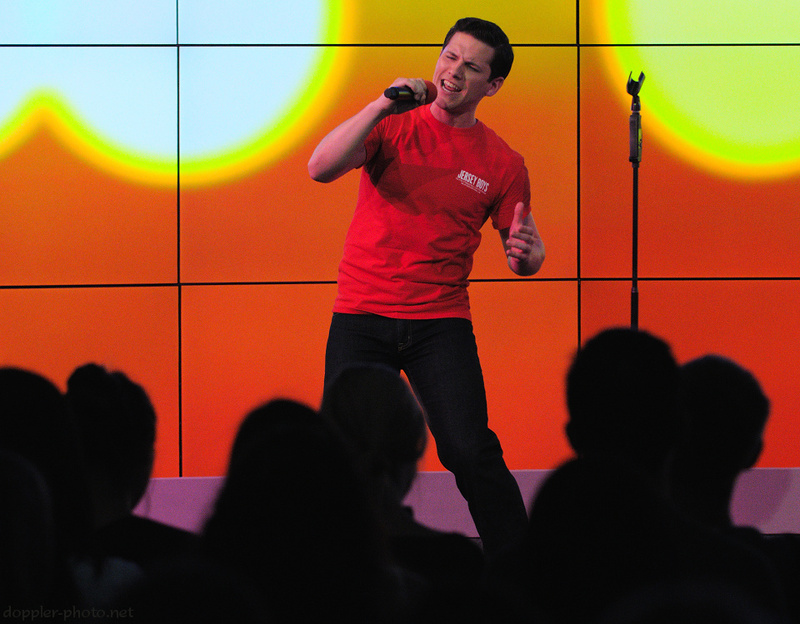 Last Friday, the touring cast and crew of the Broadway show Jersey Boys stopped by the Googleplex. We had the opportunity to hear some cast perspectives of the show, as well as to hear some fantastic singing and watch the performers dancing up a storm onstage. The performance itself was live-cast on YouTube (and will hopefully be online soon, although it looks like it's not up just yet). More photos to come.